Michelle Hodkin unveiled the cover of her debut novel The Unbecoming of Mara Dyer earlier today and it's beyond gorgeous! I wanted to read it before, but now I cannot wait to see what's inside. 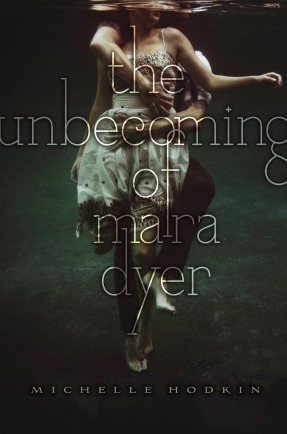 Mara Dyer believes life can’t get any stranger than waking up in a hospital with no memory of how she got there. It can. She definitely doesn’t believe that after everything she’s been through, she can fall in love. She’s wrong. Coming September 27, 2011 from Simon & Schuster. I really do want to read this even MORE now. It's so pretty. I saw this cover earlier today when Hodkin posted it on Twitter. I like it and it goes with the story. This is book is top on my list for the 2011 DAC!